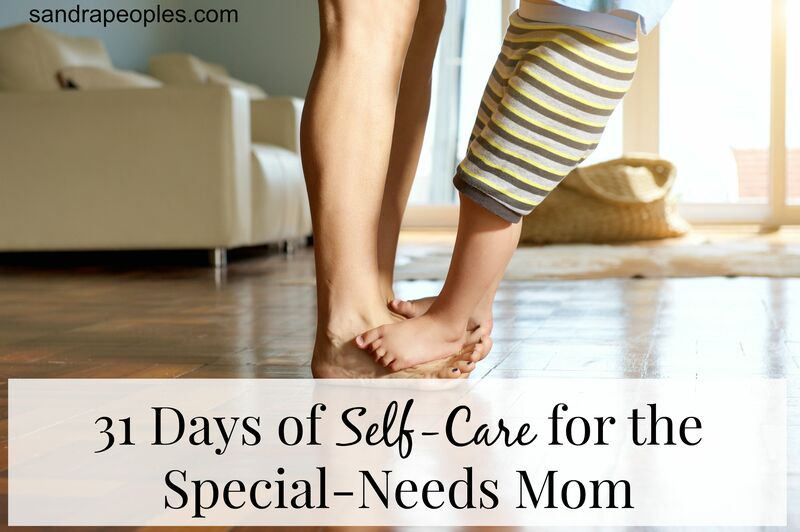 Self-care is a phrase that gets tossed around often, but for the special-needs mom, self-care is not optional. If we don’t care for ourselves, we can’t properly care for the children God has given us. In October of 2015 I invited special-needs moms to take a journey with me. A journey to better health, better sleep, better organization, and better peace within and without. You can read the posts linked below. I pray they will encourage you to care for yourself. As a “mature mom” of a nearly 23 year old special needs child, I would like to join in! Parenting doesn’t stop–and I’m having a rough transition into the adult phase! There wasn’t alot of support when mine was young…do you mind if I come and glean now? Would you like to join the private Facebook group? If you’ll let me know what your Facebook profile URL is I can add you! couldn’t find a way to do this privately. I deleted the comment so no one else would see it and sent you an email via Facebook to join! Excellent topic, and so impressed by the breakdown, looks like you’ve covered everything! Not sure I’m reading correctly, will we be able to read the whole series on the blog, or is it only for the FB group? Thanks Shellee! It will be on this site, on my public Facebook page, and in the private Facebook group. The group is more about accountability. If you’d like to join us, you can let me know what your Facebook profile URL is and I can add you! Sent you an email from Facebook! I deleted the comment with your FB URL so no one else would see it and sent you an email via Facebook to join! I really enjoyed your self-care series! Such great reminders! I’d love to join your private fb page! Thank you SO Sandra for your blog. Your insight and Godly wisdom touches my heart. Yours is a unique, precious ministry that has blessed me much. I need the reminders in this collection and will print them out into a little book…a sweet gift. Thank you. I would love to join your facebook group. I can still add you! 🙂 Here’s the link. https://www.facebook.com/groups/selfcarespneedsmoms/ I think you can just request to join and I’ll approve it. Oops! I just saw that it is now closed.